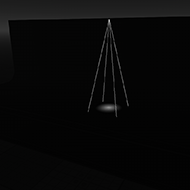 The projected light source casts light from a single point forming a focused beam aimed in a specific direction. 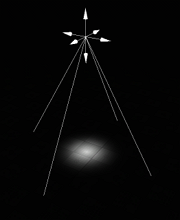 This type of light is visualized in a form of a pyramid. 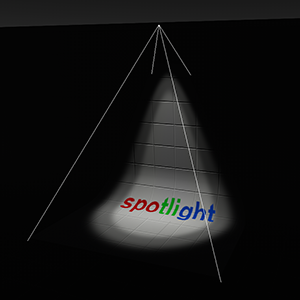 Due to its form, it is versatile and can be conveniently used to simulate the numerous light emitting sources: for example, car headlights, flash light, or street lamps. 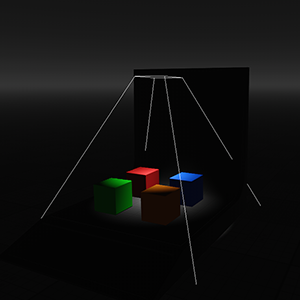 Projected light sources can produce shadows of accurate perspective projection. 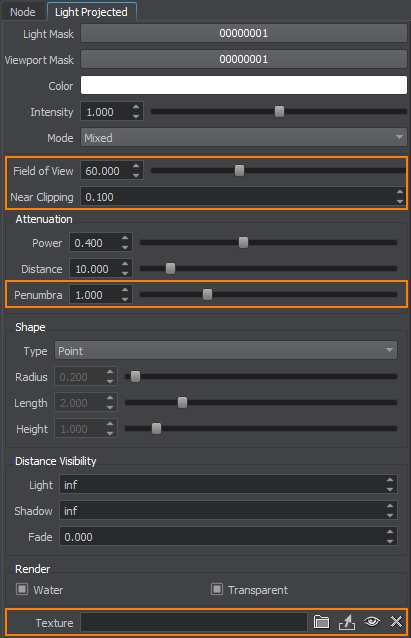 They require only a single rendering pass and are performance-cheap if compared to the two previous light source types. 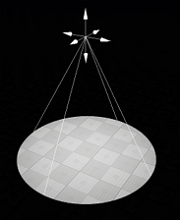 As the projected light can have different shapes, it can be used to create area lights. Place the light somewhere in the world. 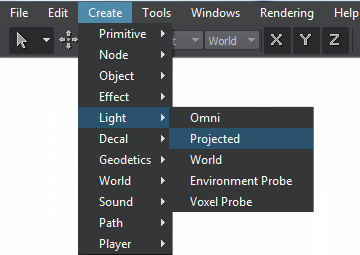 Parameters of the projected light can be adjusted in the Light Projected tab of the Parameters window. 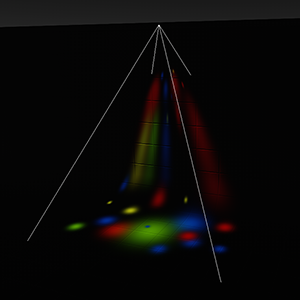 It includes both the common parameters and the parameters specific for the projected light source. The specific ones are described below. 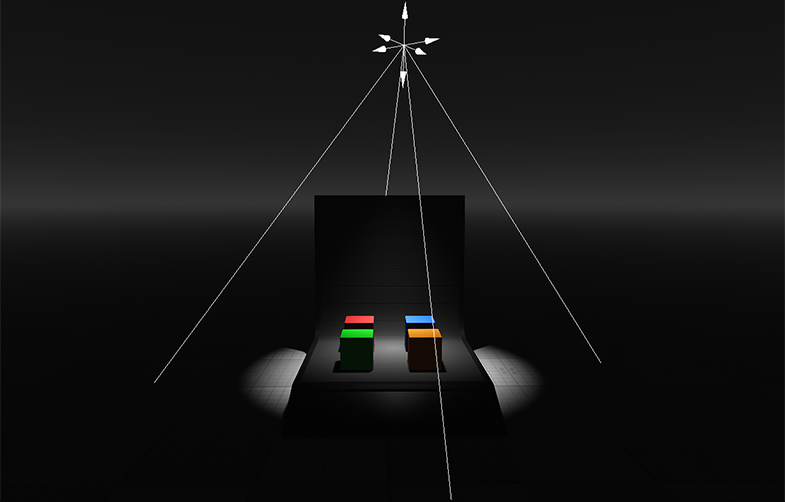 A field of view of the projected light. 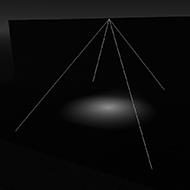 This parameter defines the angle of the light clipping in range from 1 (only a very narrow segment is illuminated) to 175 degrees (the whole hemisphere is lit). 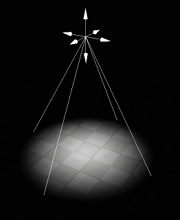 The near clipping plane that truncates the light pyramid to necessary extend. This parameter adjusts the distance relative pyramid vertex for cutting off the top surface. 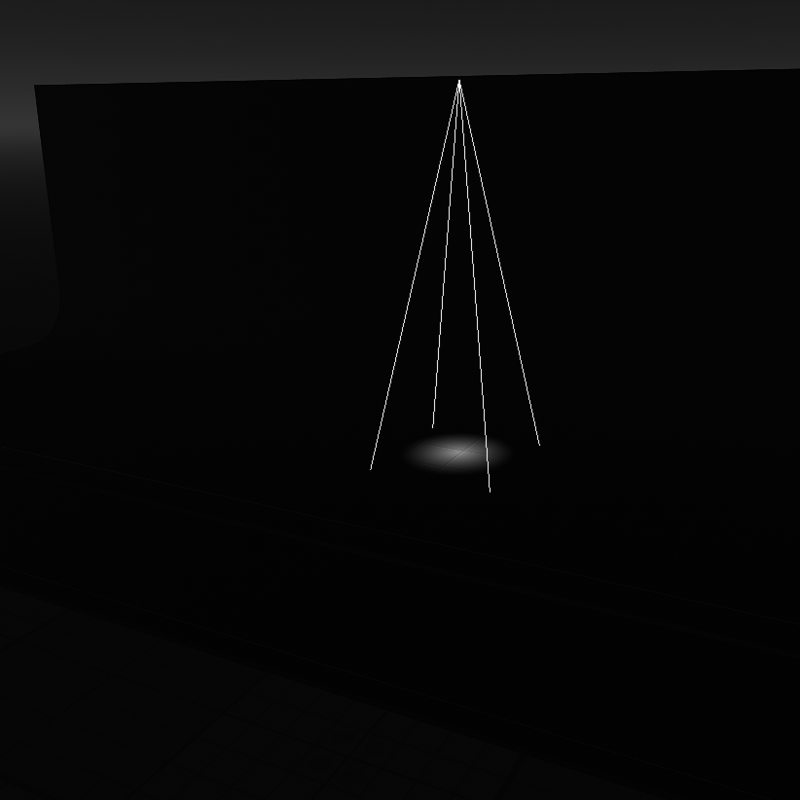 The default 0.001 fits to represent a very small snip emitting the light. 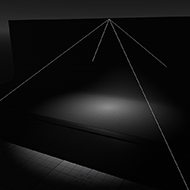 An arbitrary 2D texture that is projected onto the scene. 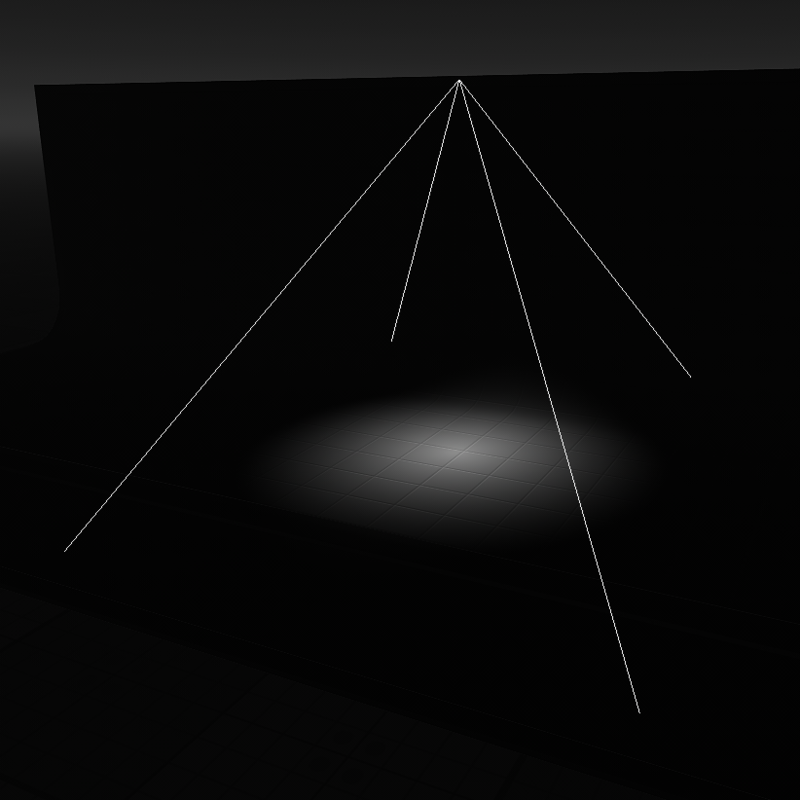 All the surfaces receiving the formed light pattern are redrawn in additional rendering pass, required because of manipulations with texture matrix. A light penumbra is used to simulate edge gradual falloff. 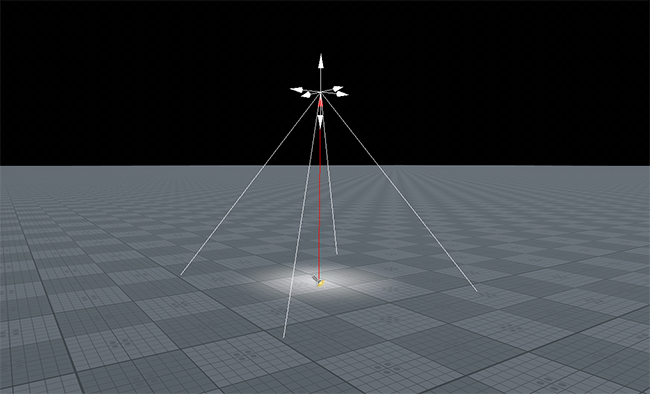 This parameter determines how fast the intensity decreases from the center of spot to the non-illuminated areas border. If the attenuation power is set to 0 or close to it, the edge between illuminated and non-illuminated areas will be sharp. 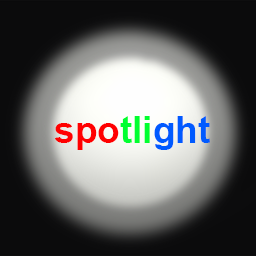 Increasing the value up will render softly dispersed light at the non-illuminated areas border.